to your shopping cart. Then, click checkout. Made by Navajo artist Celinda George, this traditional leather strap necklace has a hand knapped arrowhead and wild pheasant feather pendant with blue glass beads. 32 inches long. This cradle board is made just as the Plains and Navajo tribes used in the past, and the Navajos today use similar cradle boards on the Reservation. Created by Navajo artist Vanessa Davies it is handmade from cedar wood and has a Native American designed baby blanket. 6 inches long x 3 inches wide. Free Shipping. The cradle board is made just as the Plains and Navajo tribes used in the past, and the Navajos today use similar cradle boards on the Reservation. Created by Navajo artist Vanessa Davies it is handmade from cedar wood and has a Native American designed baby blanket. 6 inches long x 3 inches wide. Free Shipping. Our Ghost Beads are made by Navajo artists Parmeia George, Betty Askan, or Louise Smiley. In traditional Navajo culture Juniper seeds provide the wearer with protection from negative forces that may be around. They symbolize raindrops and are collected by the elders in the Navajo tribe. The green seed beads represent the journey traveled by the wearer. 32"
Delicate Ghost Beads made by Navajo artists with small, traditional Navajo Juniper seeds and beads to provide the wearer with the protection from negative forces that may be around. They symbolize raindrops and are collected by the elders in the Navajo tribe. The baby blue seed beads represent the journey traveled by the wearer. 32"
believed that ghost beads keep the spirits happy. Made with dark green and yellow beads, this Navajo Ghost Bead necklace is hand made by Navajo Tribal members of seed beads and juniper seeds. Created by Navajo artist Parmeia George, Betty Askan, or Louise Smiley, who all belong to the Navajo Tribe. In traditional Navajo culture Juniper seeds provide the wearer with protection from negative forces that may be around. They symbolize raindrops and are collected by the elders in the Navajo tribe. The seed beads represent the journey traveled by the wearer. 42" Shipping is Free. Made with red and white beads, this Navajo Ghost Bead necklace is hand made by Navajo Tribal members of seed beads and juniper seeds. Created by Navajo artist Parmeia George, Betty Askan, or Louise Smiley, who all belong to the Navajo Tribe. 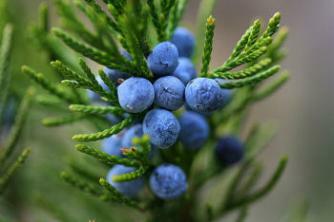 In traditional Navajo culture Juniper seeds provide the wearer with protection from negative forces that may be around. They symbolize raindrops and are collected by the elders in the Navajo tribe. The seed beads represent the journey traveled by the wearer. 42" Shipping is Free. Made with blue and red beads, this Navajo Ghost Bead necklace is hand made by Navajo Tribal members of seed beads and juniper seeds. Created by Navajo artist Parmeia George, Betty Askan, or Louise Smiley, who all belong to the Navajo Tribe. In traditional Navajo culture Juniper seeds provide the wearer with protection from negative forces that may be around. They symbolize raindrops and are collected by the elders in the Navajo tribe. The seed beads represent the journey traveled by the wearer. 42" Shipping is Free. Made with dark green and orange beads, this Navajo Ghost Bead necklace is hand made by Navajo Tribal members of seed beads and juniper seeds. Created by Navajo artist Parmeia George, Betty Askan, or Louise Smiley, who all belong to the Navajo Tribe. In traditional Navajo culture Juniper seeds provide the wearer with protection from negative forces that may be around. They symbolize raindrops and are collected by the elders in the Navajo tribe. The seed beads represent the journey traveled by the wearer. 42" Shipping is Free. Made with orange and yellow beads, this Navajo Ghost Bead necklace is hand made by Navajo Tribal members of seed beads and juniper seeds. Created by Navajo artist Parmeia George, Betty Askan, or Louise Smiley, who all belong to the Navajo Tribe. In traditional Navajo culture Juniper seeds provide the wearer with protection from negative forces that may be around. They symbolize raindrops and are collected by the elders in the Navajo tribe. The seed beads represent the journey traveled by the wearer. 42" Shipping is Free.